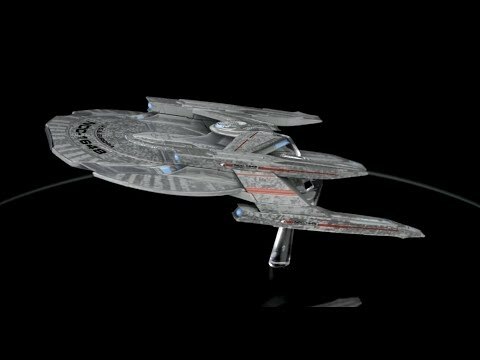 All ships are detailed and faithful replicas that have been sculpted, die-cast and painted using references from CBS Studios own archives of designs and CG models. Every model comes with an in-depth magazine featuring production artwork and highlighting the ships history and design and its own display stand. The U.S.S. Shenzhou NCC-1227 is a Walker-class Starfleet vessel commanded by Captain Philippa Georgiou. It first appears in the premiere of the highly anticipated Star Trek: Discovery series, the newest addition to the Star Trek universe. 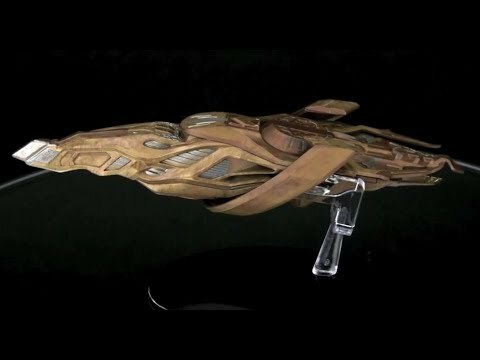 The hero ship from Star Trek: Discovery, the U.S.S. Discovery NCC-1031 joins the ST:DSS collection. The Shepard-class Kerala was one of the starships that arrived to assist the U.S.S Shenzhou at the fateful Battle of the Binary Stars. Unlike several of her fellowships, she managed to avoid being destroyed by Klingon torpedoes. The ship was named after the state in south India where the country’s Institute of Space Science and Technology was based, while the Shepard-class was named in honor of the 20th-century astronaut Alan Shepard. 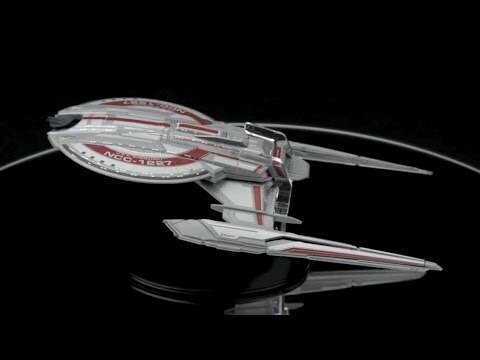 The highly detailed U.S.S. 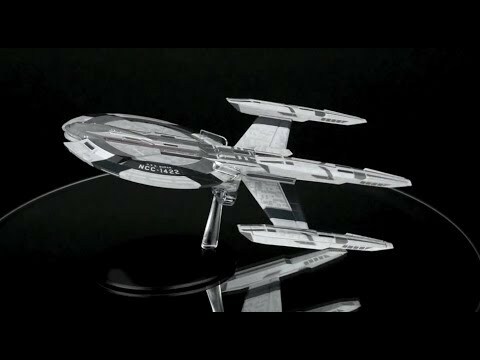 Kerala (Shepard-class) model is 8.5 inches long and based directly on the original VFX models created for the show. The Vulcan Cruiser was a small starship capable of landing on a planetary surface, used by the Vulcans in the 23rd century. The U.S.S. Buran is a Cardenas-class of Federation starship, active in the 2250s. This incredible die-cast U.S.S Buran starship was commanded by Captain Lorca, who destroyed the vessel to stop his crew being taken prisoner, and was notable for its unique quad-nacelle design. Two of these nacelles jutted up above its secondary hull and two beneath it in a distinctive ‘X’ formation. In the accompanying magazine, we detail the design process of the U.S.S Buran with original concept sketches, as well as profiling the ship's adventures, and it's history. 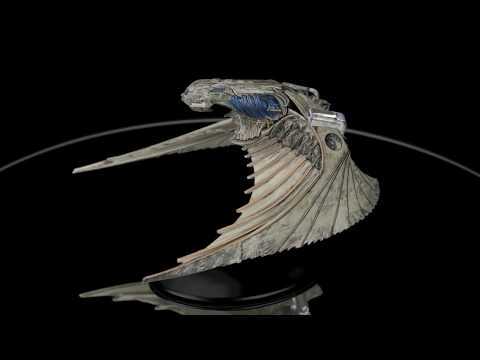 The Klingon Qoj Class starship is die-cast and hand-painted with intricate detail using references from CBS Studios's own archives of designs and CG models. It comes with its own display stand and an exclusive collector's magazine featuring a full profile of the starship. 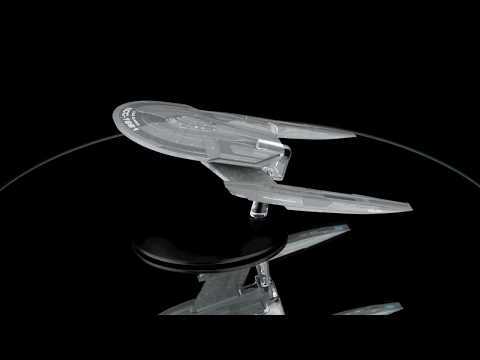 The Constitution-class U.S.S. Enterprise NCC-1701 was a powerful and iconic Starfleet vessel of the 23rd century, commanded by Captain Christopher Pike. Its design influenced starship development for decades to come. There had been a proud lineage of ships to take the name Enterprise dating back centuries; in starship terms, the NCC-1701 followed on from the pioneering starship EnterpriseNX-01 of 22nd-century space travel. The U.S.S. 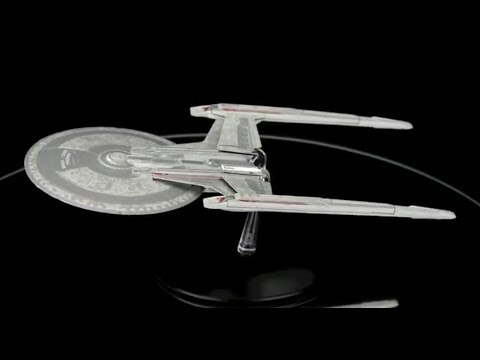 Enterprise NCC-1701 starship is die-cast and hand-painted with intricate detail using references from CBS Studios's own archives of designs and CG models. It comes with its own display stand and an exclusive collector's magazine featuring a full profile of the starship. Exclusive subscriber gifts worth over $150! Receive these exclusive Star Trek: Discovery loyalty gifts during your subscription. Get one new Discovery Starship delivered to your door every month for only $44.95 + free S&H. Get exclusive free gifts valued over $150 while subscribed! 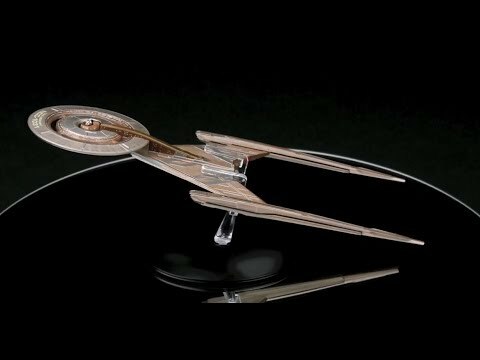 Start your Star Trek Discovery Starship collection with the – U.S.S. Shenzhou NCC-1227. Your introductory package (product, price and shipping fees) may vary if you selected a promotional offer. After you receive your introductory package, you will receive 1 ship and accompanying magazines per month for $44.95 each, plus free shipping. What you receive each month (ship, price and shipping fees) may vary depending on the offer you selected. Note: Eaglemoss at its sole discretion at any time can alter, change sequence, substitute or not offer any gifts. There are 20 ships planned in this collection. Eaglemoss reserves the right to change the numbers of ships. One of the benefits of your subscription is that you qualify to receive Special items at a discounted price exclusive to subscribers. These items are not part of your regular subscription nor are they the free gifts that you receive as part of your monthly subscription payment. You will be notified by email when you qualify for a Special and the price that you will be charged. If you do not want to receive the Special you can contact our customer service team within the time period specified in the email to request that you not be sent the Special. If you do not contact our customer service team within the specified time, you will be charged for the Special with the credit card in your account. You will also receive an email notification once your Special has shipped from our warehouse. You will receive the Special at the shipping address specified in your account within 7 to 15 days after the shipping email notification. 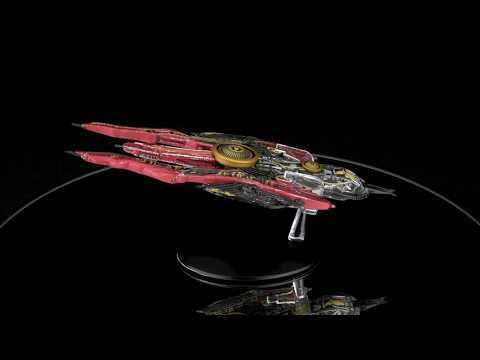 How can I buy individual ships?